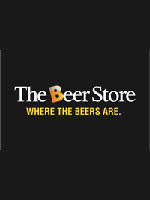 The Beer Store will close all stores across the province Monday, May 20th, 2013 to observe Victoria Day . All Beer Stores will observe their normal closing hours for the rest of the weekend. For stores hours, visit them at www.thebeerstore.ca The Beer Store would like to wish their employees and customers a safe Holiday. The Beer Store would like to remind you that they take back 100% of all beer packaging as well as all wine and spirit containers. Please remember that many of your favourite craft brewery retail stores WILL be open for the holiday. For a list of breweries, click here.